Nice reminders Mr. Morril. 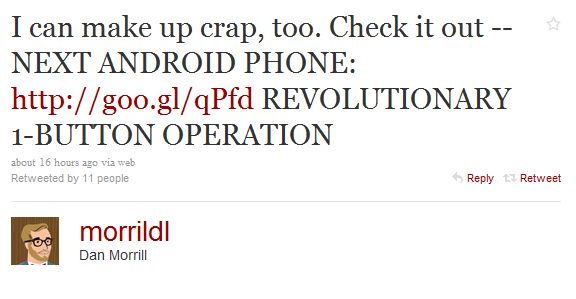 Sometimes we all get a little too excited when news about the next Android OS is floating around in the wild. We just love us some Android baby. And man are we excited to hear that our Droid 1 will still have a chance at some Gingerbread love. Oh and hat tip to Koush for calling out the original source immediately. Who’s throwing the party this morning?